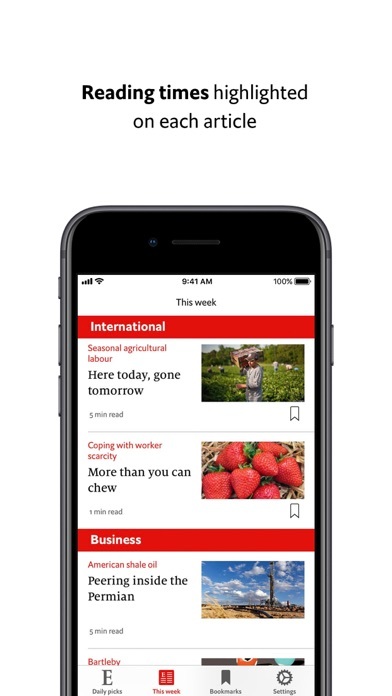 I'm a paying subscriber and I feel this app to sends me too many notifications - including, hilariously, about articles I have already read. I only want notifications once a week when a new weekly edition is available. Please provide more granular notification settings so we have that kind of flexibility. The audio consistently doesn’t work, don’t pay for this!!! They don’t care about this app. The audio just doesn’t work much of the time. This issue is persistent, I doubt they ever will fix it! No other apps that I use have this issue. 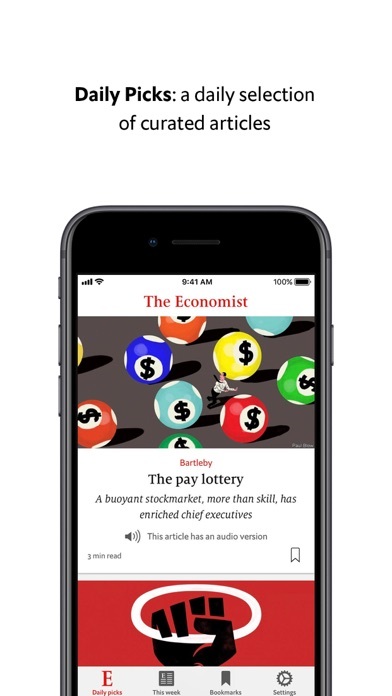 Buying subscription from the app, doesn’t allow you to create an account on economist.com. Which in turn means that I can’t read an economist article from browser. I called up the customer care twice and they are so un-helpful ... worst service ever period !!! They told call Apple and tell the issues. 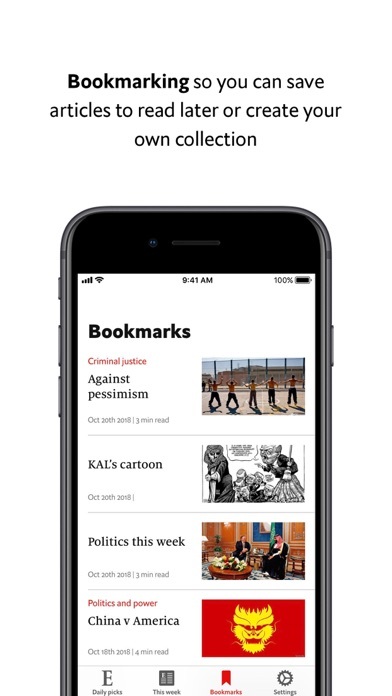 If economist folks care to read this review, please tell me how to link the subscription I paid via this economist iPhone app to activate digital access on economist website ? This app costs $$$$$ Disappointing to hear. Hello - I would like to recommend a small improvement with the app: would it be possible to allow the quote of the day to be shared to FB, Twitter, text, etc? Currently the quote can only be directly shared through the Espresso app. 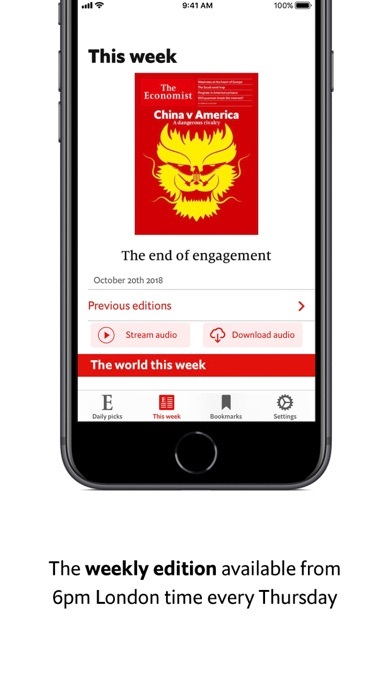 I would like to see the same function in the Economist app. Please let me know if I can further clarify. Thank you for considering. The last version or two of the app are unstable. Crashes within a few moments of opening an article. Impossible to read anything. Normally a 5 star app, but not worth a single star right now. What is it doing to overheat my phone? 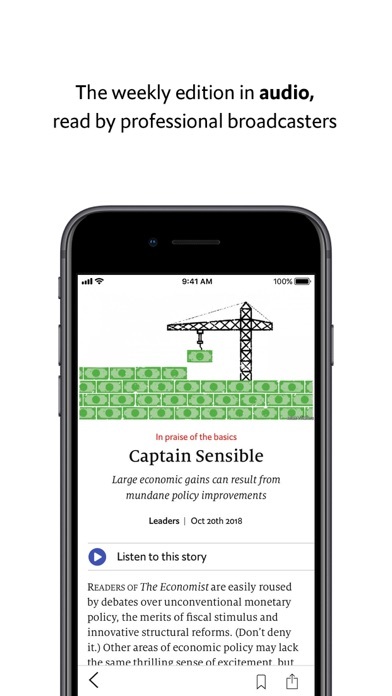 The Economist has great content and strong app design. However, there are times where it consumes insane CPU cycles or downloads crazy data and begins to heat my phone to unreasonable levels. Very bad for battery consumption as well. Please fix. 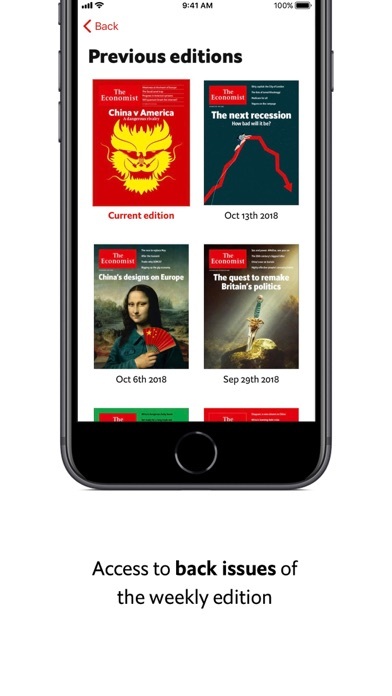 How does such a smart magazine keep making such poor decisions about its app providers? 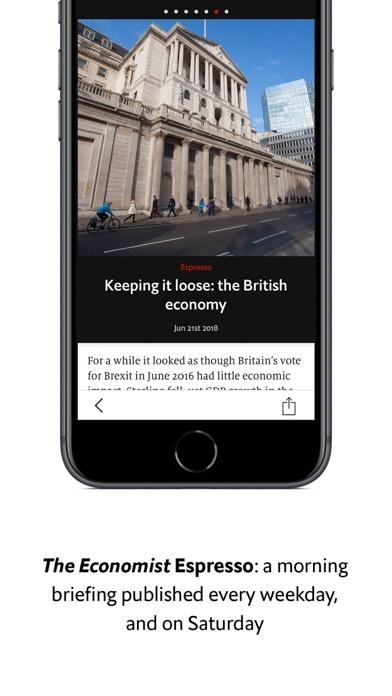 App crashes repeatedly and I often have to give up on reading articles. Too bad, I like the articles.